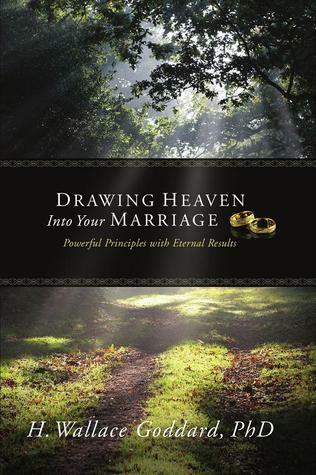 The following is part 7 of a series from the book, Drawing Heaven into Your Marriage. To see the previous sections, click here. The last two articles from Drawing Heaven into Your Marriage have discussed sacrifice. How do we apply the principle of sacrifice to daily irritations? Some of our spouses’ personal characteristics that we enjoy in certain settings become irritations in others. This fact poses a special challenge in marriage. My beloved Nancy is the kindest person I have ever known. However, her gentle nature can swamp me with irritation when I want a snap decision. Nancy’s kindness is inextricably connected to her gentleness, deliberateness—even indecisiveness. Did I expect God to give me the priceless kindness without asking me to show patience with the indecision? Marriage requires that we do more than tolerate the lesser side of each other’s qualities. Over the course of time—even in the best marriages—fundamental, irresolvable differences develop. For example, in one marriage, his unlimited ideas for creative use of money threaten the family’s financial well-being and the couple’s ultimate retirement. In another, her need to spend abundant time with friends leaves him feeling unvalued and unloved. Every couple has some fundamental difference that threatens the relationship. We can be mad and feel cheated because of those problems. We can move on to another relationship—which will inevitably have its own set of problems. Or we can become experts in dealing with the particular challenges faced in our relationship. When we choose the last option, we focus on our own repenting. That is what God recommends. Of course there are relationships that are abusive or destructive and must be ended. Anyone in an abusive relationship should seek wise counseling. If the first counsel you seek does not help you guard your safety, you should seek help from a different counselor. Most of us suffer garden-variety discontents. When we respond to them with ever-growing irritation, we are serving Satan’s purposes. In contrast, God invites us to be like Adam and Eve as we “repent and call upon God in the name of the Son forevermore” (Moses 5:8). Repentance is simply the process by which we shed the world’s inferior ways and embrace God’s superior ways. We discard our worn, tired old clothes in favor of God’s robes of graciousness. As we turn our hearts to God, they will be opened to our partners. Turning to our partner’s requires us to worry a little less about our own needs. As Howard and Kathleen Bahr observe: “The careful attention to self necessary to assure that the self is not sacrificing more than his share, that he is caring for himself ‘well,’ means that his attention cannot be fully focused on the needs of the other.”[iv] We cannot have our eyes on our partner and ourselves at the same time. The Bahrs further observe that “people’s needs are inconvenient; they are not ordered according to an eight-hour day divided by coffee and lunch breaks.”[v] A godly approach to marriage will entail inconvenience and sacrifice. Part of preparing our minds requires us to anticipate the challenges we will face, and committing ourselves to respond in new and better ways. By reviewing the past we can anticipate what relationship challenges we will face in the days ahead. We can mentally project forward to a scene that has usually caused distress. We can see ourselves reacting in the old way, choose to place our desires on the altar, and beg God to purify them. Then we make a new plan. We bring faith, obedience and sacrifice to the planning. We ask God to show us how we can respond more as He would have us. We can mentally rehearse the new reaction. Most of us need to rehearse it many times to be ready to act in different ways. Try as we might, we won’t do it perfectly right away. We will be distracted by ego, tripped by pride, snared by temper, or sidetracked by pain. So we go through the process again. We may need to apologize and ask our spouse for patience as we learn to do better. I have been trying to be a better spouse for more than 40 years. I still have a long way to go. I still say the smart-alecky comment that doesn’t help. I still fume when my needs aren’t met or I am inconvenienced. But those things happen less than they used to. More often Nancy and I are so happy we are amazed. In our experience it is just as God promises: “Give, and it shall be given unto you; good measure, pressed down, and shaken together, and running over, shall men give into your bosom. For with the same measure that ye mete withal it shall be measured to you again” (Luke 6:38). As you finish this series of articles on sacrifice, I invite you to respond to the questions and suggestions below. I call these exercises “Creating Your Own Story” since each of us has the opportunity of designing our own thoughts, feelings, and actions. Test these ideas and activities in the laboratory of your marriage. Sometimes we imagine a tidy set of skills that will enable us to process our partnership woes effectively. But good marriage is not about skills. It is about character. Consider your thoughts, feelings, and actions that are the measure of your character—and the key factors in a godly relationship. What are some things your partner says or does that get under your skin? How can you see those same things positively? How can you tease out your own assumptions or expectations and enjoy his or her way of doing things? What are the qualities that first attracted you to your partner? What additional qualities have you discovered over the period of your relationship? What can you do to keep the good qualities at the front of your mind? Would it help to make a list and keep it with you? Would it be useful to have pictures of best times on your desk or in your wallet? Do you notice when feelings of irritation are growing in you? What can you do to purge the irritation? Does it help to take a few minutes for a quiet prayer for heavenly mercy? Do you have a relaxation routine (exercise, relaxation, deep breathing) that can help you settle down when hard feelings are festering? When you want to increase the positives in your relationship, try remembering great moments in your relationship history and rehearse them in your mind. In an ideal situation you might relax, close your eyes, and re-live the good experience. Occasionally you might page through your photo album or journal to remind you of good times you may have forgotten. What principle of the gospel do you feel invited to live more fully? What can you do for your partner that would be an appreciated sacrifice? Can you listen more intently, help more with household tasks, or withhold judgment and show greater kindness? Can you set aside or reduce golf, videogames, shopping, primping, or T.V.-watching? What activity would you be willing to give up in order to strengthen your relationship? In some ways this may feel like you are leaving the Garden of Eden and entering the lone and dreary world. However, the willingness to make wise sacrifices and make them gladly opens the doors to understanding heaven’s purposes—just as with Adam and Eve. Consider setting your mind and heart to act lovingly toward your partner. Stretch yourself to do that longer than you have in the past whether an hour, a day, a week, or a month. Make up your mind to see your partner positively and to act kindly. [i] After the Honeymoon: How Conflict Can Improve Your Relationship, New York: Wiley , 13. [ii] Living in a Covenant Marriage, 11. [iii] Covenant Marriage, 25-26, emphasis in original. [vi] “Solving Emotional Problems in the Lord’s Own Way,” Ensign, May 1978, 93. [vii] Pure in Heart, 123. "Anonymous" - People can also recognize snarky comments and nobody likes them either. "Of course there are relationships that are abusive or destructive and must be ended." Thank you, Brother Goddard, for that much-needed acknowledgment. President Smith stated "divorce is not part of the gospel plan." The sad truth is that serious mental illness--the kind that can lead to dangerous "abusive or destructive" behavior for a spouse or child--is one of the harsh realities of this temporal existence. As a church culture, and as a society in general, we could use much more educating in this area. I believe this would lead to greater understanding and compassion, and less judgment of either individual in the relationship as heart-breaking personal decisions are made.